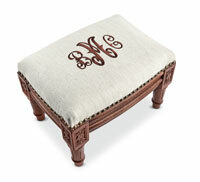 Our linen upholstered footstool features a three-letter monogram (initial of last name goes in the center). The solid wood carved frame has an antique white finish. 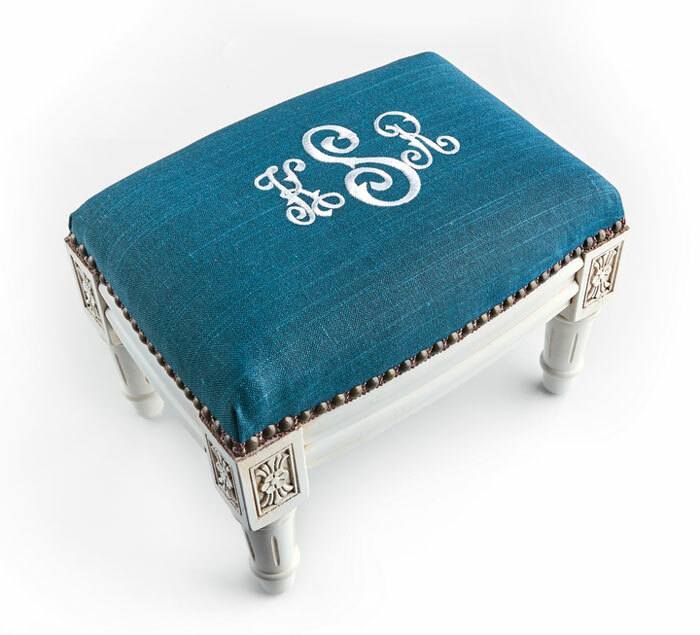 The hand-applied nailheads add just the right detail. This product can be personalized. You will enter your message during the checkout process.